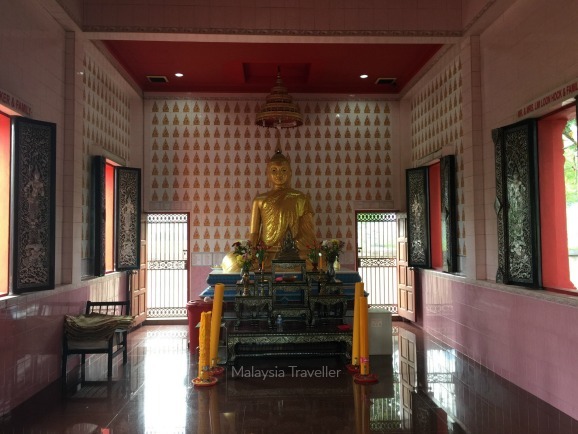 Wat Siribunyamagaram is a neatly maintained Thai Buddhist temple and monastery on Jalan Dihilir close to the heart of Ipoh City. 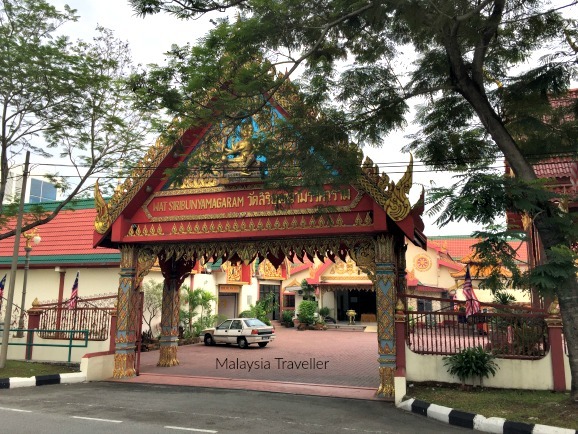 The temple is known colloquially as Tambun Siamese Temple, being close to Tambun district (Jalan Dihilir becomes Jalan Tambun as you drive east). 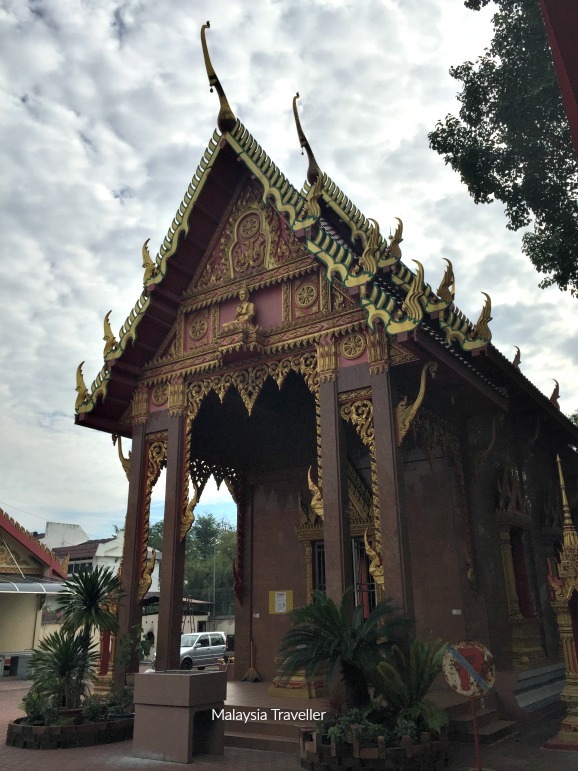 Just inside the main gate is a hall with an intricate Thai style roof and traditional Thai temple decoration. Inside is a golden seated Buddha statue. The window shutters are inlayed with beautiful mother of pearl designs. 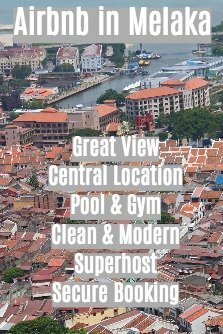 There are half a dozen or so Thai monks living here. They were very friendly and offered me some of their surplus food. 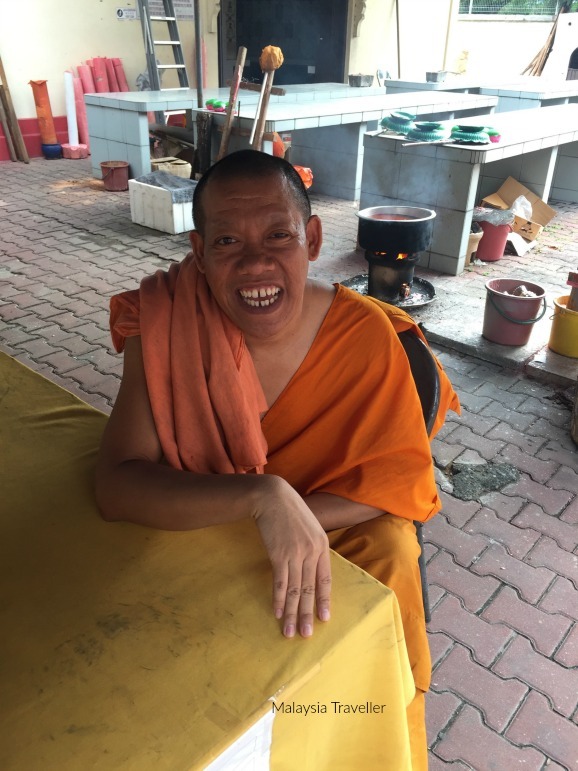 Monk and Manchester United supporter. Mantra blessing for kindness and compassion and for protection. 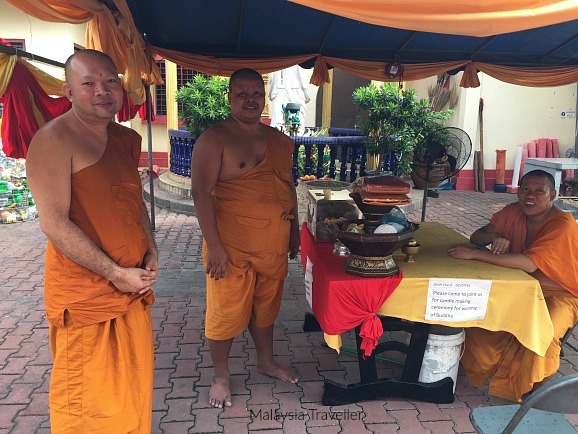 Blessing ceremony for increased luck. 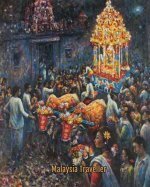 Flower bath (I have not seen this done, but I believe a flower bath involves devotees getting a spiritual cleansing from a bucket of water infused with flower petals, kaffir lime or pomelo leaves, which has been blessed by monks. 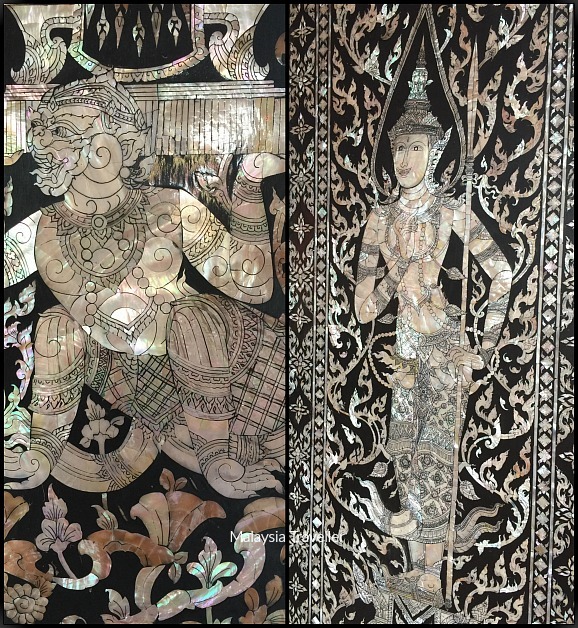 It is said to remove negative energies and bring good luck). Blessing for new house entering. Chanting for funerals and memorial anniversaries. Release life activities are allowed at the temple. 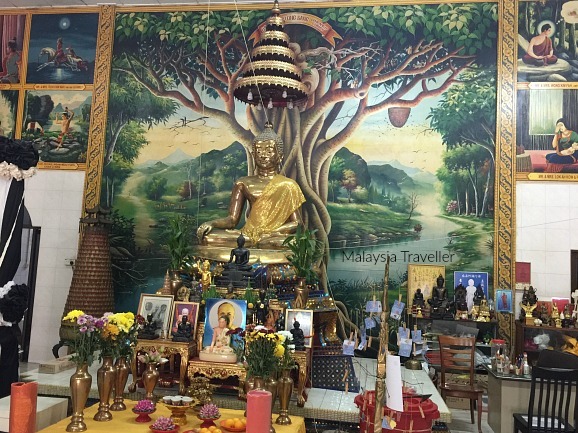 The main hall has an altar with a seated Buddha statue seated beneath a mural of a body tree. 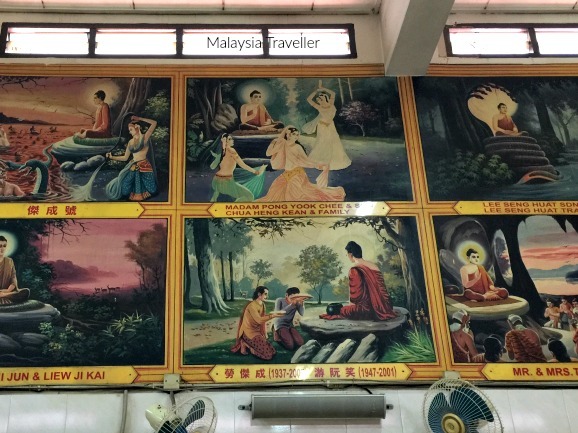 The walls of the hall are lined with paintings of scenes from the life of Buddha. These paintings are sponsored by devotees. A small seating area has a collection of books, CDs and DVDs on Buddhism which are available free of charge to anyone wishing to learn more. 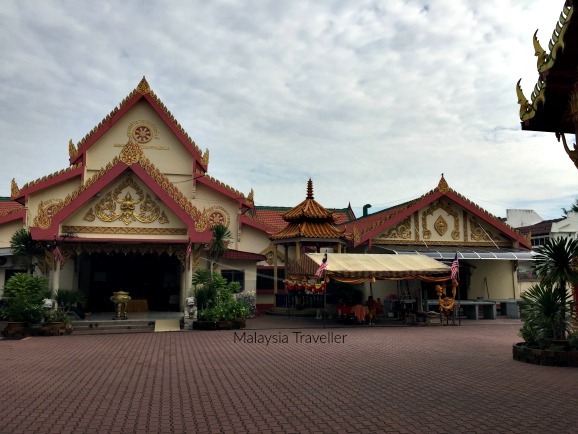 The temple is located directly opposite the Tambun Inn Hotel.